Our student council has a great event that they do every year called a book exchange. 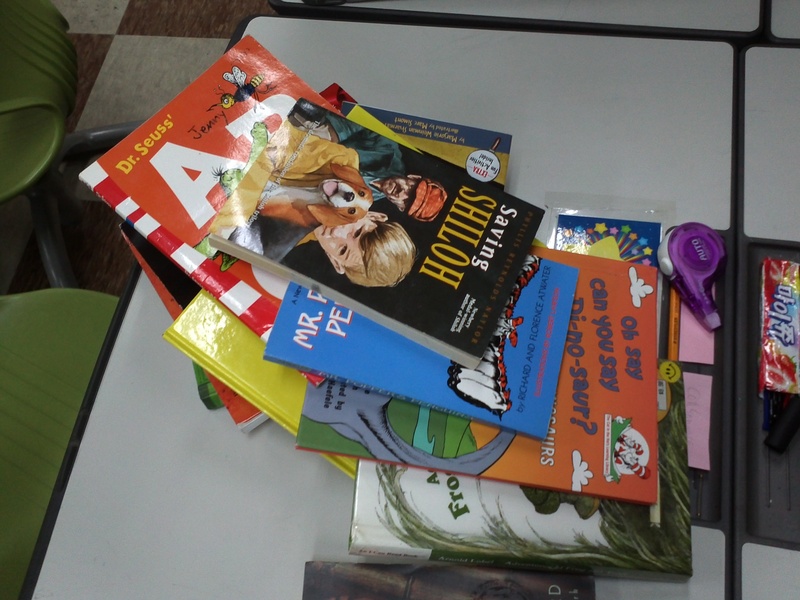 We had our book exchange this morning in the cafeteria when kids came to school. Basically, a few weeks ago, the student council collected books from students that they had read and were willing to give away. For each book that they brought it, they received a ticket. Then, on the day of the book exchange, all the collected books are put on the cafeteria tables. 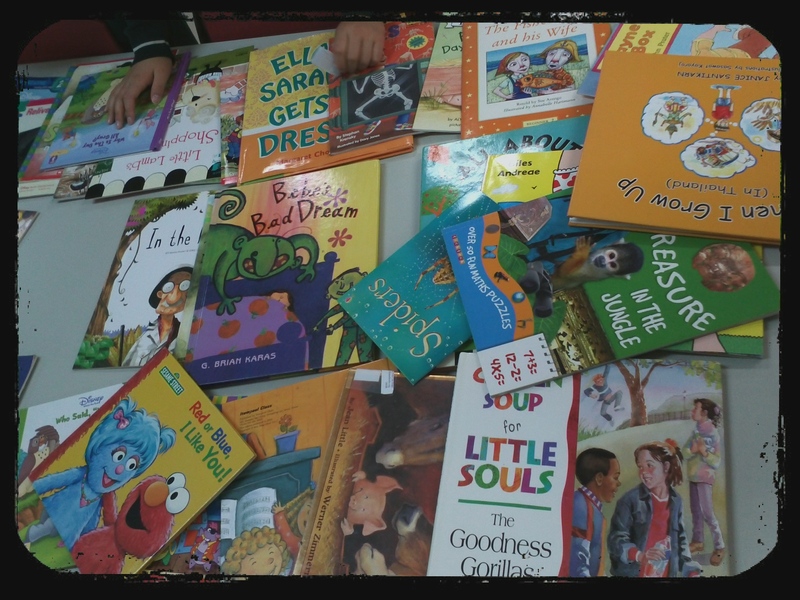 Each kid gets to choose from the selection of books, depending on how many tickets they have. It’s a great way for kids to get new books to read and get excited to read. It’s nice having it at the end of the year, because by now, students have exhausted library and classroom books. Also, they will have some new books that they can read during the summer as well. Here are the books that one of my students got from the exchange. He told me came to school by 7:30am (School starts at 8:10am) in order to be one of the first people there! I love his eagerness to get books!